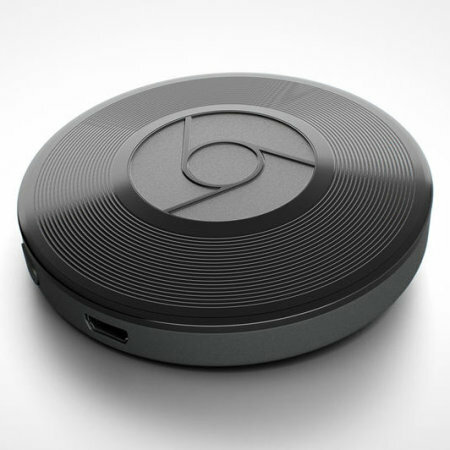 Stream music from your smartphone, tablet or laptop to your speakers with the Chromecast Audio from Google. I love this little disk!!!! Works as expected, but I got an euro connector instead of US one. 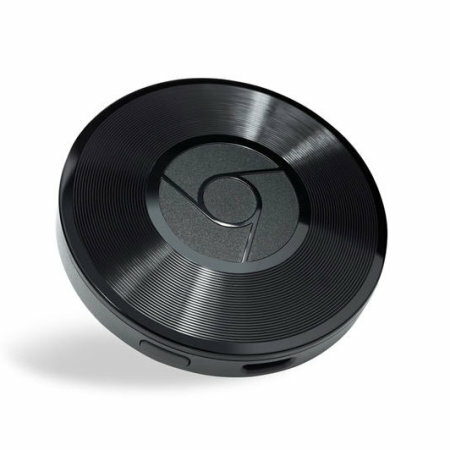 Among the only sites that have it in stock and an amazing way to add any speaker to the Google ecosystem. Great price and great customer service. Love this company! 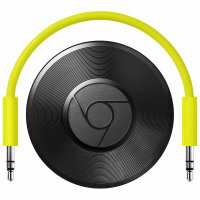 Chromecast Audio is the easy way to enjoy online streaming of music over Wi-Fi. Once you have set up this small device, you can use your iPhone. iPad or tablet and either your Mac or Windows laptop to cast your favourite music, podcasts or radion stations to any of your speakers. 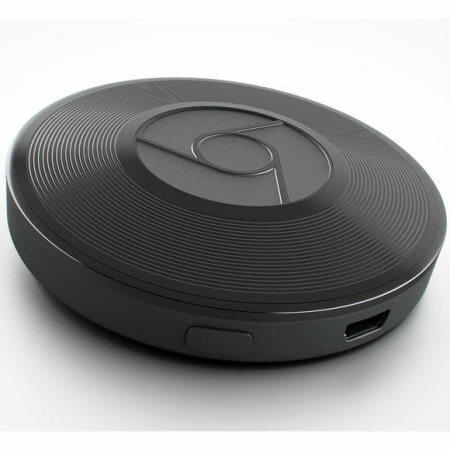 Utilising your Wi-Fi connection, the Google Chromecast Audio enables you to stream wirelessly from your mobile device or laptop to your TV, without the need to connect any cables. Browse for what you would like to listen to, control playback, and adjust the volume using the smartphone, tablet, or laptop you're streaming from. Anything pressed on the controlling device will determine what will happen on your big screen! Switch to another app, open a new browser tab, or let your device go into sleep mode while you continue to listen to your favourite music, all without draining the battery on your smartphone, tablet or laptop. Get started in 3 easy steps: Plug Chromecast Audio into your Speakers, connect it to Wi-Fi, then cast your favourite music and more from your smartphone, tablet, or laptop to your TV. 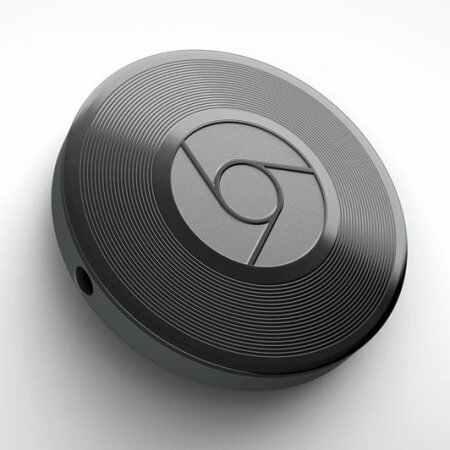 Chromecast Audio is designed to be small enough to plug directly into your speakers, slipping out of view. 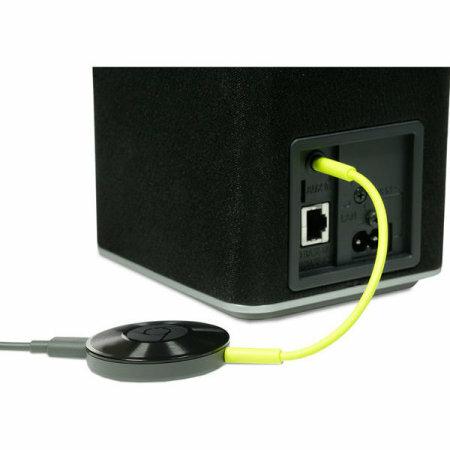 It's a small device in its category, making it easy to set up on any speaker in your house. Friends and family can use your Chromecast Audio with their phones and tablets without having to set up anything, as long as they're connected to the Wi-Fi network at your house. A secure, tracked and reliable mail service. Orders sent using this method usually get delivered in 3-7 business days.